Someone once said, “My feelings are emotions; they are not reality.” When I act on my feelings I get myself into trouble. Just because I feel something doesn’t make it a fact; in actuality, my feelings are just my perception at that moment and can change at any given time. I have learned to just feel my feelings and let them be that…just feelings. I press past the negative emotions by focusing on truth, straining to see the situation with God’s eyes. It is sort of interesting how easy it is for me to allow one negative thing to bring me incredible discouragement, to the point of being overwhelmed; and at the same time ignore all the wonderful things from that same situation. I allow the bad to outshine the good. This happens repeatedly to me with regards to homeschooling my 11-year-old son. I have one slump of a week where I feel I’m letting him down and not doing a good job, yet, when I look back on the semester there have been countless incredible learning opportunities and experiences that are rich beyond anything I expected. As Joyce Meyer puts it, “The battlefield begins in the mind.” I have learned to pay attention to which voice I am listening to; to question my feelings instead of just believing them automatically. When the voices that speak the loudest are not saying the same thing that the truth says about me, I cast them out immediately. I choose which voices I listen to. This new way is so empowering and freeing and it gives me such peace. Reality doesn’t change, instead it is me who did the changing, refusing to allow negative wrong thinking to control me. 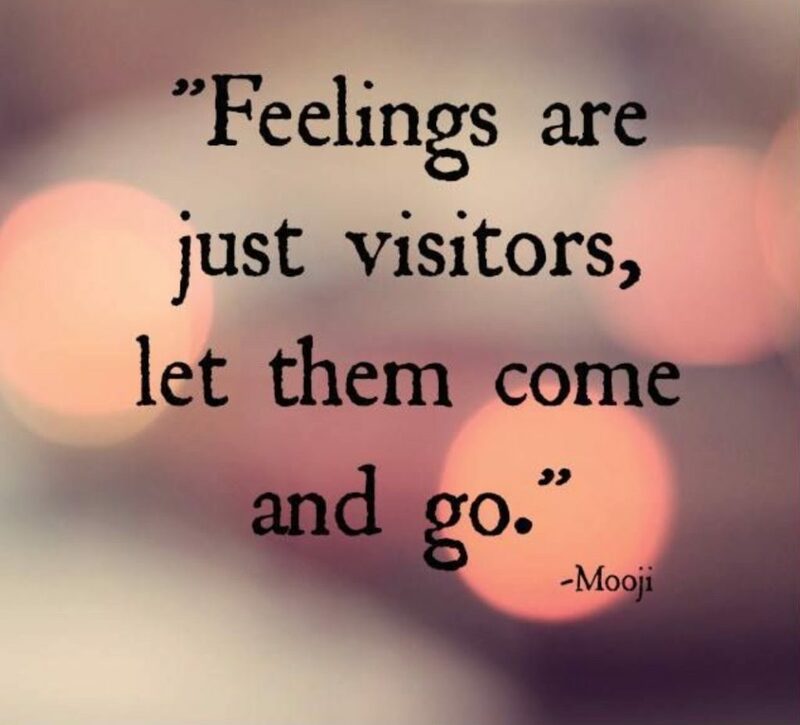 What feelings do you need to release and let go of in order to bring you transformation? May this New Year bring new awarenesses that empower and edify.